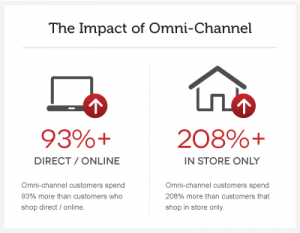 12 Jun Is your brand ready for Omni-channel retailing? 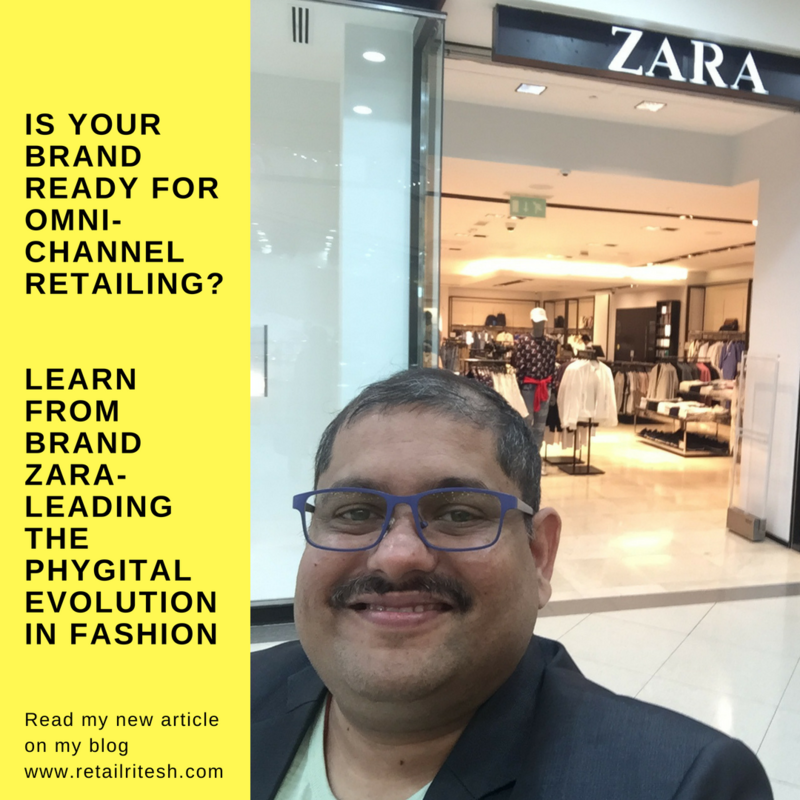 Learn from Brand Zara- leading the Phygital evolution in fashion. Do you know what is the biggest challenge in today’s digital era for businesses? Here it is, we have access to gigabytes of information at our fingertips yet we fail to see or identify or decode this information/data into useful insights for our businesses. Zara, the Spanish fashion retailer has been fast to decode the importance of Phygital experience in their stores. 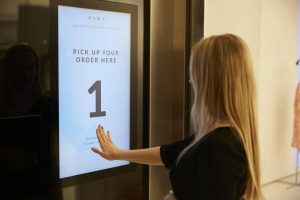 Zara is attempting to elevate the customer experience with a technology-enhanced concept store in London’s Westfield Stratford shopping center. 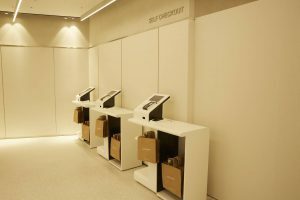 The store focuses on a service where shoppers can try on the clothes they like in store, pay for them online and have the clothes delivered to their homes. Inditex SA, the Spanish company that owns Zara brand, calls it an example of the technologies it will implement around the world. The new flagship store uses an optical barcode reader system which scans the QR or PIN codes that customers receive when they place an order online. Behind the scenes at the automated online collection pick-up point, a robotic arm then collects trays and organizes the packages optimally based on their sizes, smoothly delivering orders for customers to collect in seconds. Customers can collect online orders made in store on the same day if placed before 2 pm, or the next day if placed after 2 pm. In addition, the new store also features interactive mirrors equipped with RFID technology which is able to detect what garment a customer is holding and offer more information on the item as well as multiple choices of what a complete outfit may look like. In store employees will work with iPads and be able to advise customers on product selections or accept payments on the spot. Every garment is fitted with a radio-frequency identification tag. The technology lets Zara check a store’s inventory in two hours, a process that used to take about three days. Customers can choose to pay using their mobile phones via the Zara app or the Inditex’s Group app, InWallet. Shoppers can buy clothes without talking to anyone. Self-service checkouts on floors let customers pay with their mobile phones or credit cards. Retailers will need to connect decades-old fundamentals & processes with the newest front-end user interfaces. The Spanish brand Zara is one of the few fast fashion brands who has embraced technology and leading its brand’s evolution into the digital world. Are we getting ready to embrace the fast-changing consumer’s shopping trends? Are we fast enough to embrace the change in our retail environment? I shall conclude my article with these two thought-provoking questions to my readers and retail fraternity members to share their opinions by leaving a comment below and let the world learn from their wisdom. Ritesh Mohan is a passionate retail professional with over 20 years in the Retail sector, handling some of the biggest brands in beauty, fashion and fragrances retail & FMCG sector. He has been instrumental in the growth of some of the regional brands as well in Middle East region. He specializes in Retail management, Product development and Brand management, Retail Operations, Sales Management and Franchising & Business Management. He strongly believes in empowering business owners with his wisdom & experience of around two decades in the industry.